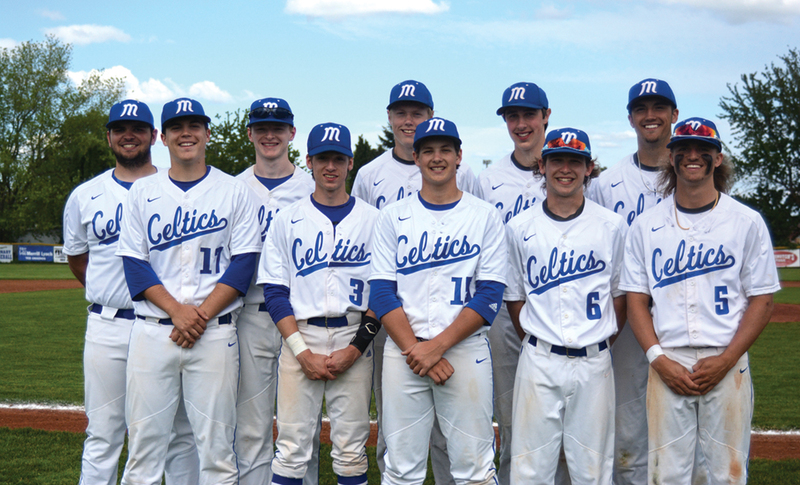 McNary’s baseball team (13-11, 10-6) will face a familiar opponent in the first round of the state playoffs when the 16-seeded Celtics host No. 17 Tualatin (13-10, 12-5) on Monday, May 22 at 5 p.m. The two squads met on April 29 with McNary winning 13-7. But Celtics head coach Larry Keeker isn’t taking too much away from that victory. “We’d just got off a three-game week and so did they,” Keeker said. Tualatin finished third in the Three Rivers League behind two top 10 teams in the state—No. 9 Tigard and No. 1 West Linn. “They took West Linn right to the wire three times in a row so they’re certainly capable,” Keeker said. McNary senior Josiah Gilbert will get the start on the mound against Tualatin. But Riley Hays, Kyle McCallister and the rest of the Celtic pitchers will be ready if needed. McNary swept McKay 6-1, 12-2 on May 10 and 12 to finish fifth in the Greater Valley Conference. On senior night, Hays won the first game, allowing just three hits and one run over seven innings. McCallister and Carl Rumbaugh combined to shut down McKay in the second game. The Celtics combined for 23 hits over the two games. Matthew Ismay was 6-for-8 in the series with four runs and three RBIs. Brendan Frizelle was 4-for-8 with four runs and three RBIs. McNary finished the regular season on a six-game winning streak.